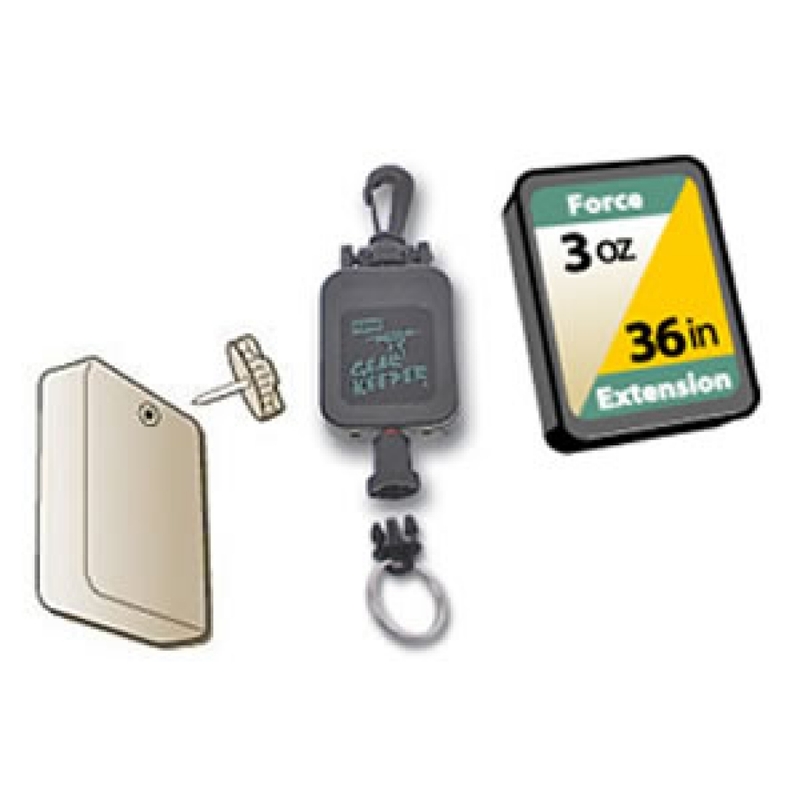 Low force retractors are ideal for 1-2 small tools and it allows long extension (36”). It's ideal for hook extractor tools where you may need longer reach. Threaded pin penetrates pocket, webbing strap or float tube pocket. Threads into back of Gear Keeper. Won't pop off!